UPDATE: Rocktail Bay Lodge is closed for refurbishment until further notice. Rocktail Bay Lodge is situated in the northern reaches of the iSimangaliso (formerly Greater St Lucia) Wetland Park in northern KwaZulu-Natal, South Africa. This whole area has been declared a World Heritage Site. The lodge is situated a stone's throw from the warm Indian Ocean and one of the most incredible beaches in South Africa. Built out of the wind within the canopy of evergreen dune forest, Rocktail Bay Lodge offers a very different beach holiday. Rocktail Bay is one of the most private and romantic getaways in South Africa. Ten wood and thatch "tree house" chalets & a Family Room are raised up on stilts into the canopy of the dune forest. The chalets have en-suite shower and toilet facilities. Each room has its own balcony and an additional outdoor shower. Twenty guests can be accommodated comfortably. The main area of the lodge has an inviting lounge and meals are enjoyed either in the separate dining room or outdoors under a huge Natal Mahogany Tree. On special occasions, beach dinners can be enjoyed with the sounds of the forest and waves at your doorstep! A boardwalk meanders from the lodge through the dune forest and down to the beach. There is a swimming pool and sun deck for those who want to relax around the lodge. The lodge also boasts its own well-stocked wine cellar. The highlight at Rocktail Bay is the miles and miles of pristine and undeveloped coastline. In addition to simply sunning yourself on the clean golden beaches, a variety of guided activities are available. Nature drives through the park, beach picnics and lazy strolls in search of the perfect secluded spot are always on offer. Snorkeling in one of the secluded bays or out at sea from the dive boat allows an exhilarating experience of the extraordinary richness of the Indian Ocean. Many butterfly- and angelfish are frequently seen, as well as rays, octopus and other fascinating marine species. Nature walks take guests through the coastal forests or rolling grasslands in search of Maputaland endemic birds, butterflies and plants. 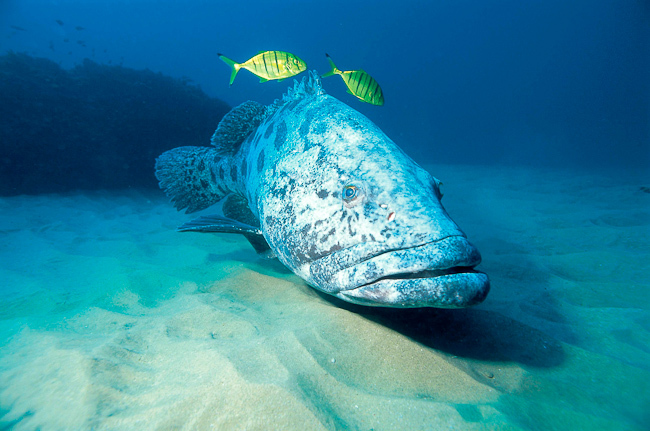 Surf and fly-fishing (tag and release is promoted) is among the best on southern Africa's coastline. Activities at Rocktail Bay Lodge include turtle drives on the beach during the summer months, exploratory birding (and other) trips to the surrounding forests and grasslands by means of Land Rover or by foot, snorkelling in the secluded bays or off our boat (Snorkelling off the boat at an extra charge of R200.00 p/p per day - subject to change), and optional trips to the Kosi Bay area. Drives in open Land Rovers around the coastal forest, to the Hippo Pools and to the surrounding community form part of the daily activities. One of the best activities offered is a trip to Black Rock- an imposing chunk of sandstone that juts directly into the sea. Guests have often seen turtles, sharks and rays whilst standing on the edge of this immense feature. Also popular are birding trips to Vuzi Pan, around 30 minutes drive away, by Land Rover. The marsh is a mini-Okavango, with special birds such as Lesser Jacana, Lesser Moorhen and Pink throated Longclaw occurring. This is a great trip when diving is not possible. The Indian Ocean is ideal for snorkeling in search of tropical fish (flippers and snorkels may be borrowed at the lodge). In the summer months Rocktail Bay Lodge is integrally involved in turtle research, and guests are able to accompany the resident turtle expert on "night beach drives" at low tide to help monitor the turtles' nesting movements. SCUBA diving is amongst the very best in the world and is available at an additional cost (see more below). At Manzengwenya, 11km south of the camp, there is a fully accredited dive centre where we offer boating excursions out to sea around low tide to enjoy scuba diving (and snorkelling) on the pristine coral reefs offshore. (Please take special note that dive certification and pre-booking is compulsory for scuba activities). Other lodge activities include fly-fishing, snorkelling, swimming and drives to Black Rock, birding walks and drives and visits to the surrounding community in open 4x4 Land Rovers. During the summer months Rocktail Bay Lodge is integrally involved in ongoing turtle research. Guests are able to accompany the resident turtle expert on research drives at low tide at night helping to monitor the turtles' nesting numbers and behaviour. The sight of a 750kg Leatherback heaving herself up and down the beach to lay her eggs must rate as one of the most moving wildlife experiences anywhere. The pristine beaches of Rocktail Bay play host to an annual spectacle, where literally hundreds of marine turtles heave themselves onto the beaches to lay their eggs and thereby complete their breeding cycle. The KwaZulu-Natal Wildlife conservation authority's project on Loggerhead and Leatherback turtles is one of the longest continuous research projects in the world. Wilderness Safaris and Rocktail Bay Lodge fully support this conservation initiative, sponsoring turtle scouts, vehicles and research materials. Funds generated from the lodge are used to fit turtles with satellite transponders. Every night during the summer months, a trained guide patrols the 40 kilometres of beach at low tide and monitors egg-laying turtles and hatchlings. Guests are able to accompany the guide on the "night drives" and enjoy one of nature's prime spectacles. Maputaland, situated on KwaZulu-Natal's north-eastern seaboard, is a diverse region of forested dunes, wetlands, sandy beaches, grasslands and waterberry savannah and warm seas. Rocktail Bay Lodge is located here, within the iSimangaliso Wetland Park, one of South Africa's World Heritage Sites which spans a range of ecological zones. Situated offshore from Rocktail Bay is the Maputaland Marine Reserve which offers an additional sanctuary with extraordinary diving and snorkelling encounters with huge shoals of fish, dolphins and whales. This is not "Big Game" country, although it does have its our own "Big Five": Leatherback Turtle, Loggerhead Turtle, Palmnut Vulture, Buitons Skink and Zululand Cycad. Two interesting antelope occur - Common Reedbuck in marshes and grasslands and Red Duiker in forest patches - and Hippo are found in freshwater lakes. The Indian Ocean teems with spectacular wildlife, including Humpback Whales, Bottlenose Dolphins, Whalesharks, and turtles (Leatherback and Loggerheads). Birding is good and a number of rare coastal species occur - Green Twinspot, Green Coucal, Grey Waxbill, Purplecrested and Livingstone's Louries, Natal Robin and jewel-like Emerald Cuckoo in forests, and Pinkthroated Longclaw and Rufousbellied Heron in marshy areas. The lodge has a bird hide, which can afford birders exceptional views of Buffspotted Flufftail, Olive Sunbirds and many others. The annual spectacle of hundreds of Leatherback and Loggerhead turtles returning to the beaches on which they hatched to lay their eggs has remained unchanged for thousands of years. Rocktail Bay Lodge is involved in the Maputaland Sea Turtle Project to protect and monitor these ancient animals; running since 1963, this is one of the longest running such projects in the world! During summer, guides at Rocktail share the nightly patrols and monitoring with Ezemvelo KZN Wildlife, while part of the annual concession fees that Rocktail pays go toward the wages of the seasonal turtle scouts employed to guard the turtle nests and help patrol the beaches. Guests visiting Rocktail at this time are therefore able to interact with the guides and scientists patrolling the beach at low tide at night in search of nesting turtles. For updates on Maputaland Sea Turtle Project, see the Trust website here. Rocktail Bay Lodge was one of the first joint ventures in South Africa between community, a conservation authority and ecotourism, and for its innovative operating model received the Imvelo Award for Best Community Tourism Partnership at the World Summit on Sustainable Development in 2002. The model, involving Wilderness Safaris, the surrounding Mqobela and Mpukane communities and the iSimangaliso (former Greater St. Lucia) Wetland Park Authority, has evolved since then, to the point where Rocktail Bay became a partner site in the Pro Poor Tourism in Southern Africa Programme. More than 2% of the community in the immediate settlements (comprising approximately 1 500 people) are permanently employed at the Lodge and, through a programme called Business Linkages in Tourism, community-based enterprise is being supported to provide a range of additional products and services. The long-term success of this innovative project is dependent upon continued relationship-building between the three parties. A new structure is currently being introduced to enable the communities to participate more effectively in this three-way arrangement extending to resource management of the coastal region and in developing a new range of products. In 1999 Rocktail Bay Lodge was a winner in the prestigious international British Airways "Tourism for Tomorrow" Awards. These awards recognise organisations in the tourism industry which have made a positive contribution towards their local natural and cultural environment. Rocktail Bay Lodge lies within an area which was awarded World Heritage Site status by UNESCO's World Heritage Committee in December 1999. Only sites considered to be of outstanding universal value have been thus recognised. With less than 1% of the world's ocean formally protected, the part we play at Rocktail Bay in the Maputaland Marine Reserve is vital to the continuing conservation of our precious sea life.